The team at Whybin TBWA were able to steal the limelight in the Direct category for both network and office and pull off a win in the Advertising category by office with a victory for its Sydney arm. Stand-out work for the agency included NRMA’s ‘Car Creation’ and M.J. Bale’s ‘Grazed on Greatness’ campaigns. Among the awards Whybin TBWA took home during the 2012/13 season was AdNews Agency of the Year Game Changer Award, B&T Agency of the Year, Campaign Brief State Agency of the Year as well as an AIMIA Award, three Golds and three Silvers at the Caples, two Grandes at AdFest and a Bronze from London. George Patterson Y&R also put in a commendable performance to take out both the Digital office and network categories in a very close race with Whybin TBWA and Deepend. The network scored big points thanks to campaigns including St Vincent de Paul’s ‘Signed Finds’ and Defence Force Recruiting’s ‘Mobile Medic’. It also came away with a massive eight nominations at the AIMIA Awards which did wonders for its points tally. UM also managed to steal an entire category - Media by office and network. It was lauded this rankings season for its McDonald’s work including the ‘McDonald’s Gets Grilled’ documentary which aired on prime time TV. But Mat Baxter and the team also backed it up with impressive campaigns for Meat & Livestock Australia and its awards tally shows impressive breadth – it was rounded out with a massive eight nominations, one Highly Commended and one award at the Festival of Media Asia as well as the AdNews Media Agency of the Year award. The last agency to sneak in a category win was Clemenger BBDO, which took home the number one spot in Advertising by network. It was an intensely fought category with George Patterson Y&R and Whybin TBWA both looking to be in with a shot come the final count. 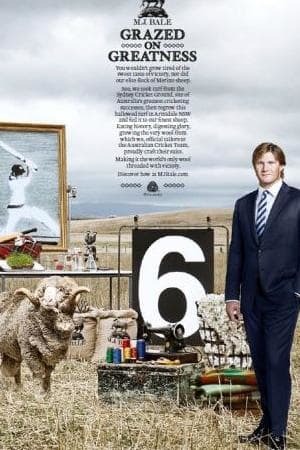 But agency of the year points got Clemenger BBDO over the line, not least of which was a win at the AdNews Agency of the Year Awards as Advertising Network of the Year. A more detailed list can be found in today's print issue of AdNews. To see the entire lists in every category plus additional charts download the iPad version. That's the only way to get the lot. Subscribers can do it for free while individual issues can be purchase single issues for $2.99. This article first appeared in the 19 April 2013 edition of AdNews, in print and on iPad. Click here to subscribe for more news, features and opinion. Whybin's MJ Bale 'Grazed on Greatness' picked up a swag of awards. Whybin TBWA has come away with number one rankings in three of a possible eight categories in the final round of the AdNews Agency Rankings. It was joined by Clemenger BBDO, UM and GPY&R at the top of the charts that cover Advertising, Media, Direct and Digital agencies with both office and network rankings for each. Get the complete Agency Rankings list exclusively on the iPad version of AdNews. It's the only way and its just $2.99, or free for subscribers. Click here.